The UM Aquaculture Program has a large and diverse network of former staff and students. We maintian a list of current and former students and staff. We periodically share news and updats with this list. 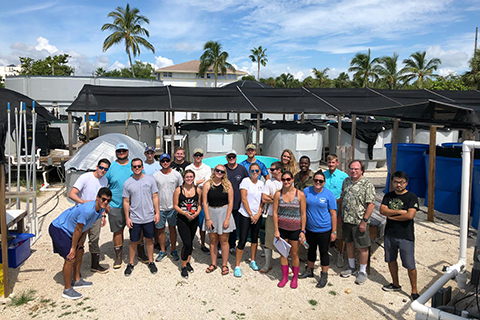 If you're a UM Aquaculture alumnus and would like to be added to the list, send an email to j.stieglitz@miami.edu and include your year of graduation, degree earned, and current position.